Escape routes, weapons you’d bring with you, what supplies are vital, how you’d defend yourself and of course, what bar would withstand a zombie attack the best. These theories have been water cooler and happy hour fodder for horror nuts and film fanatics forever; however none of them has put them into words as well as author Max Brooks has. 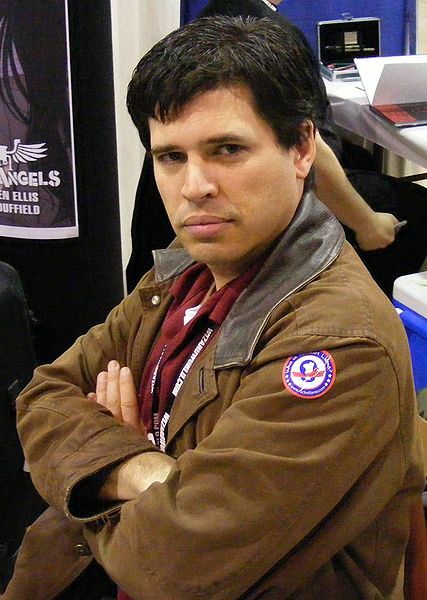 Max Brooks, son of two Hollywood icons, a former SNL writer and the premier zombie fiction writer. Brooks — son of two Hollywood icons, filmmaker Mel Brooks and actress Ann Bancroft — has carved out his fame in the world of zombie literature with the humorous yet amazingly detailed field manual Zombie Survival Guide and the zombies vs. humans novel World War Z, which is currently in production as a major motion picture starring Brad Pitt. Pop-Break’s Maxwell Barna spoke with Brooks, who will be speaking today, October 20 at Rutgers University, about zombies, rum and Captain Kirk. 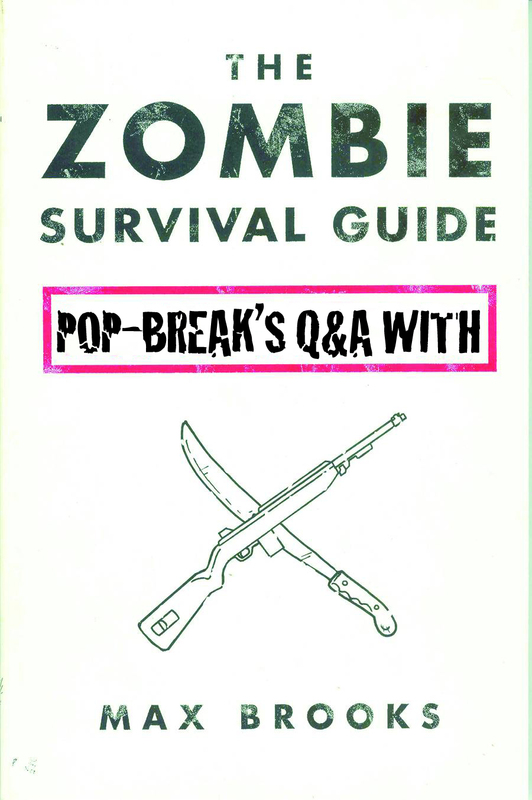 Pop-Break: Let’s start off with the obvious … when is the zombie apocalypse going to happen? Max Brooks: Good question! Wish I knew. PB: Will they be runners or walkers? MB: In my nightmares, they’re always walkers. PB: When I first read The Zombie Survival Guide, the most entertaining part was probably the “Recorded Attacks” section, which you later developed into an amazing graphic novel. Are those stories fiction, or are any of them based on non-fictional information? MB: Pretty much everything I do has some basis in history. Before I’m a zombie nerd or even a sci-fi nerd — I’m a history nerd. I always try inject something from the life story of the human race, because, to me, there’s nothing zombies can do to us that we haven’t already done to each other. PB: Where did you get the idea for the Zombie Survival Guide Scanner app? It’s brilliant. PB: Before you decide to undertake a project like World War Z or the ZSG, what kind of research do you do to help prepare for them? Both novels are extremely detailed and explicit in their instructions/stories. How does it all happen? MB: It’s all about the homework — something I used to do avoid doing at all costs. Growing up, I read a lot of Tom Clancy. I used to be mesmerized by how much research he did and how much smarter I felt after reading his books. That’s the path I try to take with my material. For every hour of writing, I usually do about 10 to 20 hours of research. PB: Did you have any ulterior motives when writing the ZSG? I think many of the things mentioned in the novel, things like self-defense techniques, types of terrain and how to traverse them, defending ones home, etc., are all very practical and useful pieces of knowledge for just about everyone, even if they’re not fighting off the zombie hordes. MB: I just wanted to write a book on how to protect myself from zombies. I went looking for one to read and shock, no one was dumb enough to waste their time writing one. I wrote it to read it, that’s all. 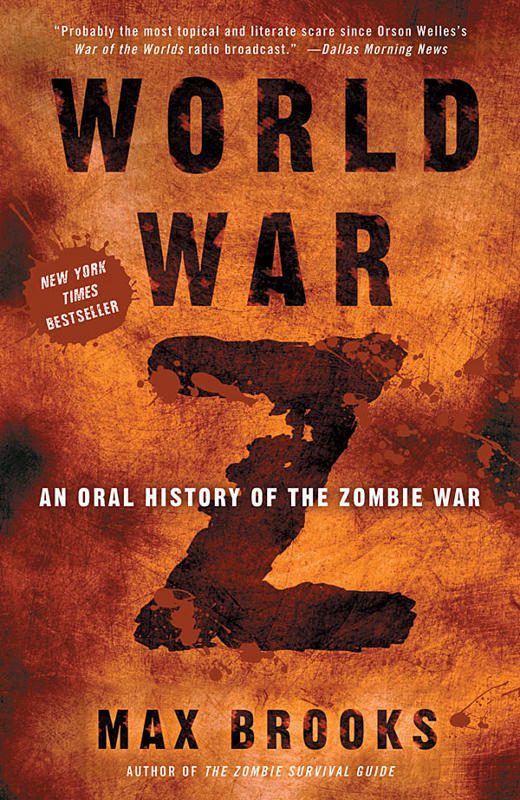 PB: Your New York Times bestseller, World War Z, is being turned into a movie. From what I understand, Brad Pitt is starring in it and Marc Forster (Monster’s Ball, Finding Neverland, Quantum Of Solace, Stranger Than Fiction) is directing. How do you feel about it? Did you have a hand in deciding that Foster should direct it? If so, why did you select him? If not, do you think he’s the right man for the job? In the same vein, do you think Brad Pitt was the perfect actor for the lead role? MB: When it comes to the movie, I have more power to select the President of the United States. No, really, at least then I get a 1 in 300,000,000 vote. I knew I was taking a big risk handing my baby over to the Hollywood machine, but as a hero of mine once said “risk is our business.” That hero was Captain Kirk. PB: You’re going to be at Rutgers University tonight. What are some of the things you’re going to discuss? MB: Good dental hygiene, some study methods, time budgeting, and test taking skills … oh yeah, and how to protect yourself from zombies. PB: Are you planning on anything else that we should be aware of? Anymore bestsellers on the slate for this coming year? MB: I don’t know about bestsellers, but I have three more projects in the pipeline right now. I wrote a short story a year ago called The Extinction Parade about a zombie outbreak told through the eyes of vampires. Right now, I’m adapting it into a limited comic book series. I’m also just about finished with a graphic novel that takes place during the First World War. Sorry, no zombies. It’s actually a true story. And I have another book that is so different than anything I’ve ever done that I probably will publish it under a pseudonym (and that’s assuming anyone wants to publish it). PB: This is a question I ask everyone I interview — from artists, to writers and musicians — so you have to answer it! If you were stuck on an island and could drink only one type of beer for the rest of your life, what would it be? Does it have to be beer? MB: Sorry, I’m not a beer drinker. It’s one of the three most vile things Germanic culture has ever given the world (after World War 2 and techno music). Now if we’re talking rum, that’s a different story. I’d bring a supertanker full of Callwood Distilleries Tortola sugar cane rum. That’d certainly make the time go faster.